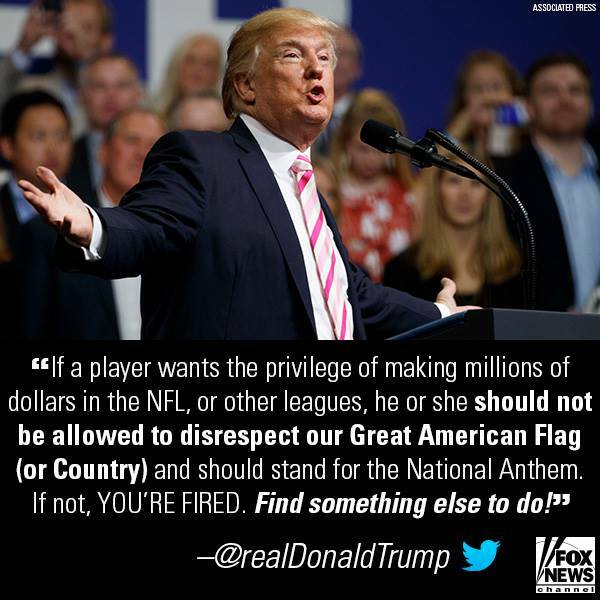 The rhetoric has increased as officials and players from both the National Football League (NFL) and National Basketball Association (NBA) deliver their messages to President Trump, responding to what #45 has said about people, especially athletes earning millions, who then disrespect the US Flag and the thousands upon thousands of service men and women who have died to protect our Freedoms. Many people cite Colin Kaeperneck as the person who sparked this, yet it seems that Hillary Clinton is actually the one who really set this country on a collision course between the left and right. That she could accuse Trump of being a racist, misogynist, etc., and those labels accepted as fact by her followers shows how blind these people are. If Trump oppresses blacks, women and others as Hillary claims why do so many of those people work with him, and in key areas of his business and administration? If Trump is really a misogynist why on Earth would he have had a woman running his campaign for President of the United States of America? Why would a black woman run the Eric Trump Foundation? There are numerous examples to cite how and why the labels plastered upon him by Hillary are simply not true. The video below by Lynne Patton really tells a different story than what Hillary spews. When #45 stated that NFL players should be fired for disrespecting the US Flag I tend to agree with him. A football player, a basketball player, a musician, when they are on their stage and being paid, they are being paid to ENTERTAIN us, nothing more, nothing less. If they wish to speak up about what they perceive as social injustices then they should do it on the right platforms, get booked on national radio or TV and cite evidence of the oppression and who is actually doing it. Colin stated, “I am not going to stand up to show pride in a flag for a country that oppresses black people and people of color.” Sorry, Colin, the United States is NOT oppressive. There are people who are, yes, but not the country as a whole. When Steph Curry blindly accepts Hillary’s and Barack’s condemnations about our president and says he does not wish to visit the White House, fine. Don’t go. But don’t expect me to support you anymore because of your blinded beliefs that the president is the cause of our discontentment, our current division. Your pal LeBron called #45 a bum. Real class, Bron. You are losing all respect I have had for you (and what you do for your community). You, too, are blinded by Hillary and Barack. Barack is a Socialist, and an advocate for One World Order and the freedom we have here and now will not be available in that world. Hillary is a traitor, she committed Treason against the United States. She left people to die in Benghazi and lied about it. She used an unsecured server and Blackberry and lied about it for months. She is a chronic liar. Remember when she was running for president in 2007-2008 and claimed, “I remember landing under sniper fire in Bosnia.” This was proven a lie with video footage, all was peaceful. When she and Slick Willie left the White House in 2001 they had taken $190,000 in valuables that were not their property, i.e., they stole the items. And, yet, you supported her for president. Steph, Bron, why on Earth would you do that? How could you do that? What do you call a college campus that cancels speaking engagements by conservatives? And this week they cancelled “Free Speech Week.” Why did the Oakland Warriors or, better yet, Steph, not speak out against UC Berkeley for their blatant disregard and disrespect for the First Amendment? Seems quite hypocritical to me. Let me state, for the record, that I am a Patriot. I am also a direct descendant of Chief White Hair of the Osage Indian Nation. And, I am related to Patrick Henry and deeply believe in his words: “I know not what course others may take; but as for me, give me liberty or give me death!” It is because of Henry, James Madison and a handful of others that we actually have the Bill of Rights because the US Constitution, as originally written, did not lay out individual rights. And, even though our country may be flawed because of individual agendas by people who are suppressive and oppressive to others, not just minorities, it is still the best country in which to live and raise a family. I am sorry, but if you disagree with that statement above, then you should move to whatever country it is you feel is better. Period. 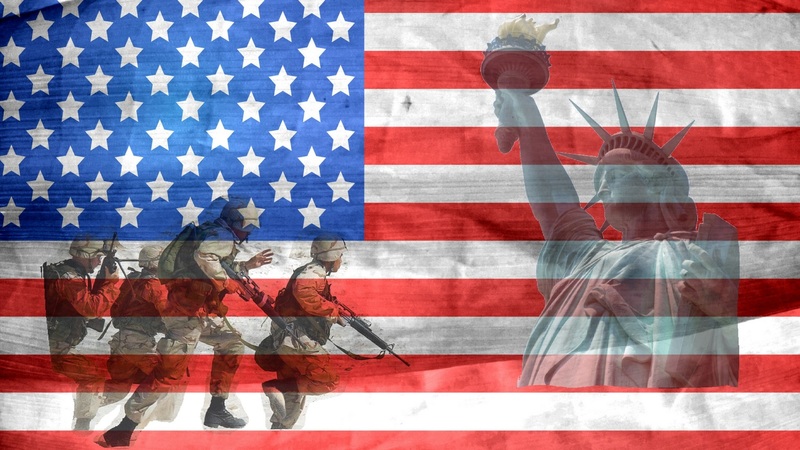 Peaceful protest is fine, but on a stage where you are paid millions per year to entertain, it is, in my humble opinion, totally inappropriate to disrespect the US Flag and the men and women of our military who have kept – and do keep – us free.